Stardawg, who doesn’t like a strain with a good backstory? In the case of Stardawg, this legendary strain came about when two equally epic Chemdawg seeds came together. In fact, so many of the most popular strains of the 21st century owe their origins to the Chemdawg lineage. And you’re probably already aware of how the story began with the close of a 1991 Grateful Dead tour and a handful seeds in a bag of Dog Bud. If not, we’d recommend looking up the whole saga and familiarising yourself with this seriously important segment of stoner history! Look up the various ways the aroma has been described over the years and you might find it a little off-putting. A vat full of chemicals. Dead skunk. A truck stop. Morning breath. Just a few of the delightful comparisons used to give some idea of the strength of the stuff. In reality, it’s simply a case of Stardawg being about as dank as it gets. On the plant and after curing, Stardawg bud has the most eye-wateringly earthy, musky aroma with a tone of fuel behind it. In short, it stinks – but in a good way. Newcomers might find it all a bit much to deal with, but cannabis connoisseurs swear by this kind of dank. Well…what would you expect from bud this fragrant and powerful? 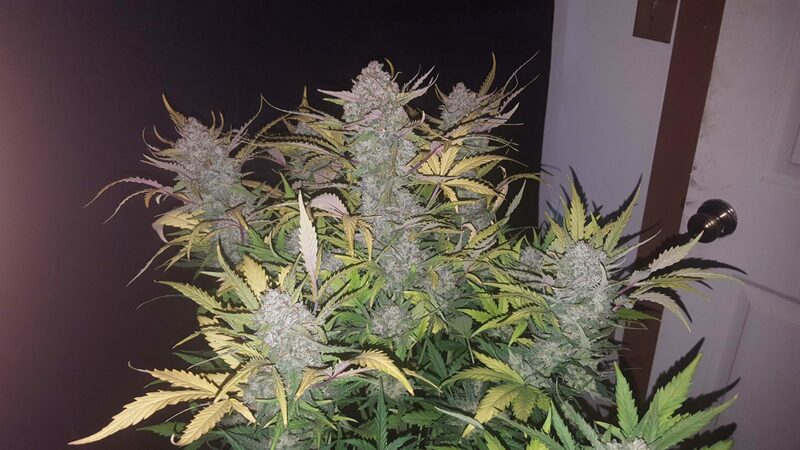 Set light to Stardawg and all those fabulous fragrances burst into life with even more vibrancy. You can expect a thick, dense and lingering fog of pure musk, which sticks around on the tongue and in the throat for hours. Once again, it’s enough to be overpowering for the inexperienced, but is quite the treat for those that can handle it. Categorised as a Sativa Hybrid, Stardawg has varying effects, mostly relying on personal preference as a guide. For some, Chemdawg strains, and Stardawg in particular, offer a very uplifting, motivational experience like in Sativas, whereas some will feel a lethargic ambivalent reaction that is typically enjoyed with Indicas. As a result, different shops and seed companies market Chemdawg and Stardawg as Indicas or Sativas. It’s a safe bet to expect a rich THC experience as it typically tests above average compared to other strains. It’s tricky to pigeon-hole the effects of this Sativa-dominant hybrid, as the experience differs between various batches and smokers alike. However, you can expect a heavy-hitting experience which begins with a wave of motivation and euphoria, which sometimes descends quickly into lethargy and deep relaxation. It’s a funny one – check out Stardawg in two different stores and you’ll often find completely different descriptions of its properties and effects! Though easy to grow, it doesn’t deliver the highest yields by any stretch of the imagination. Indoors or out, you’ll be looking at flowering times of around 75 days and an average yield of 75-100g for every square metre. But then again, it’s not as if you need a lot – a little goes a very long way indeed!